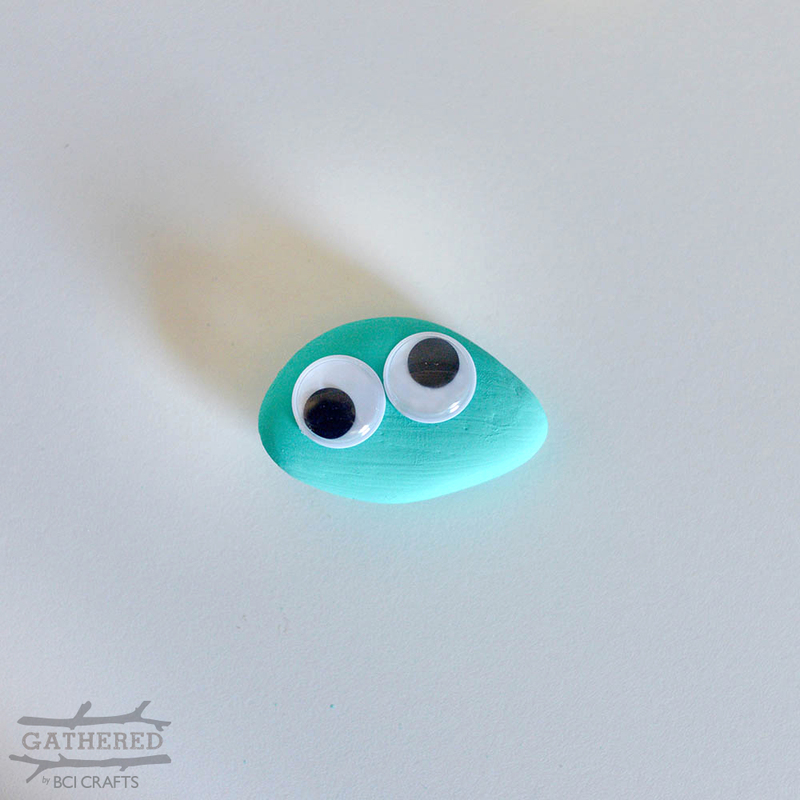 This simple River Rock creature craft makes the perfect activity for a hot or rainy afternoon. 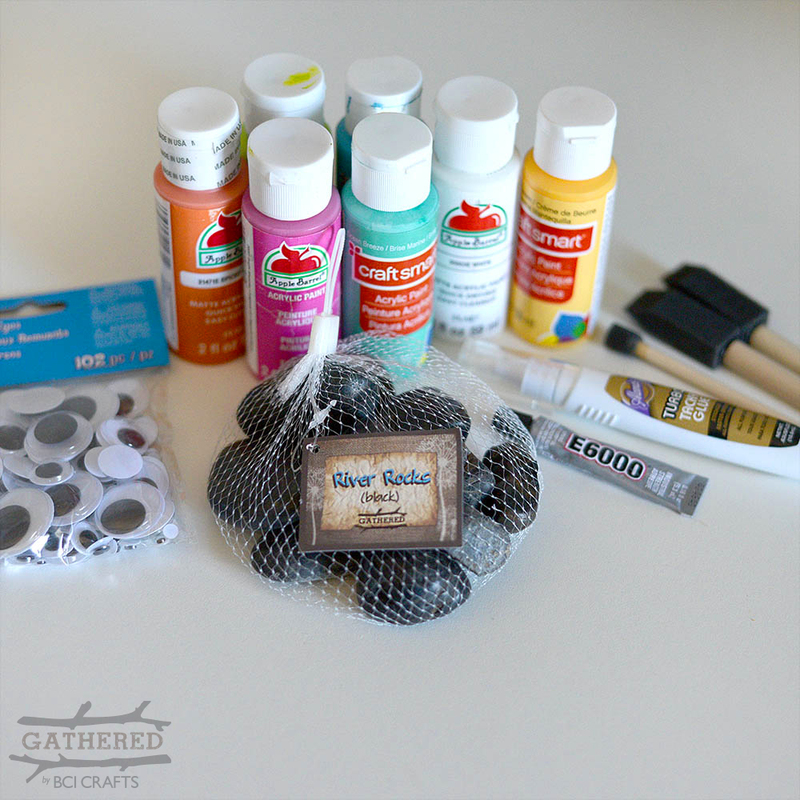 It is also a fun and affordable birthday party activity for kids of all ages! 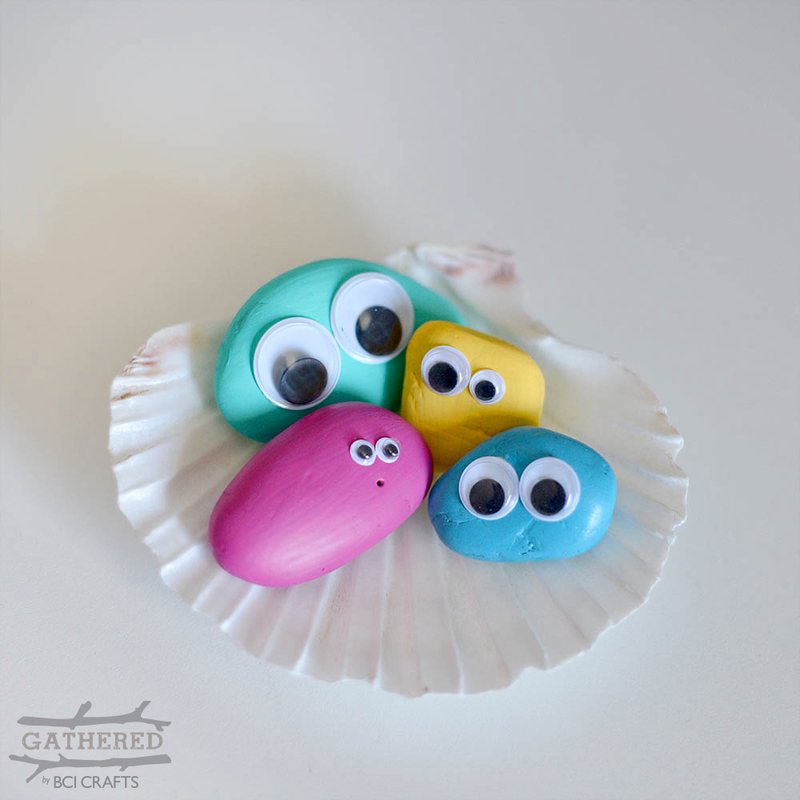 Start by painting the rocks in your favorite colors! 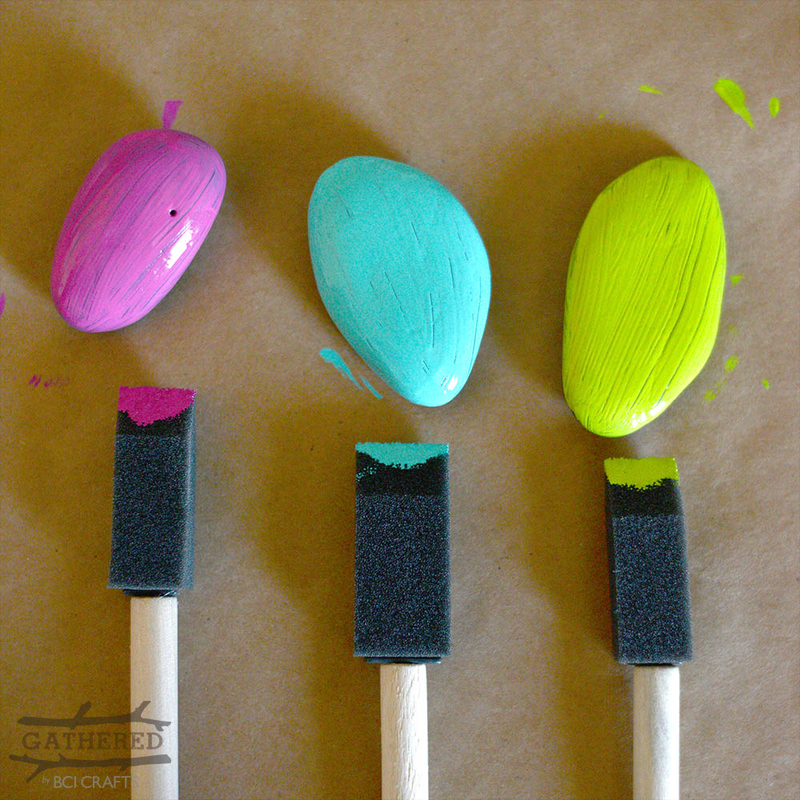 For younger kids, try painting the first layer ahead of time for them. Then little kiddos can add a pattern or stickers to make it their own. 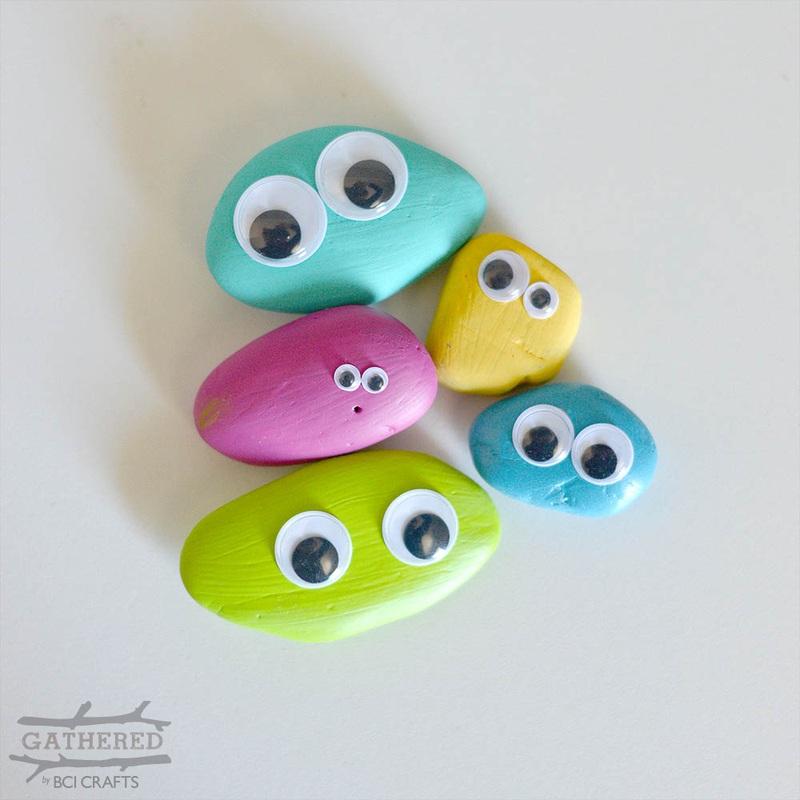 Once the paint dries, glue on googley eyes of different sizes anywhere to the rock. Use the natural features of the rock as facial features! 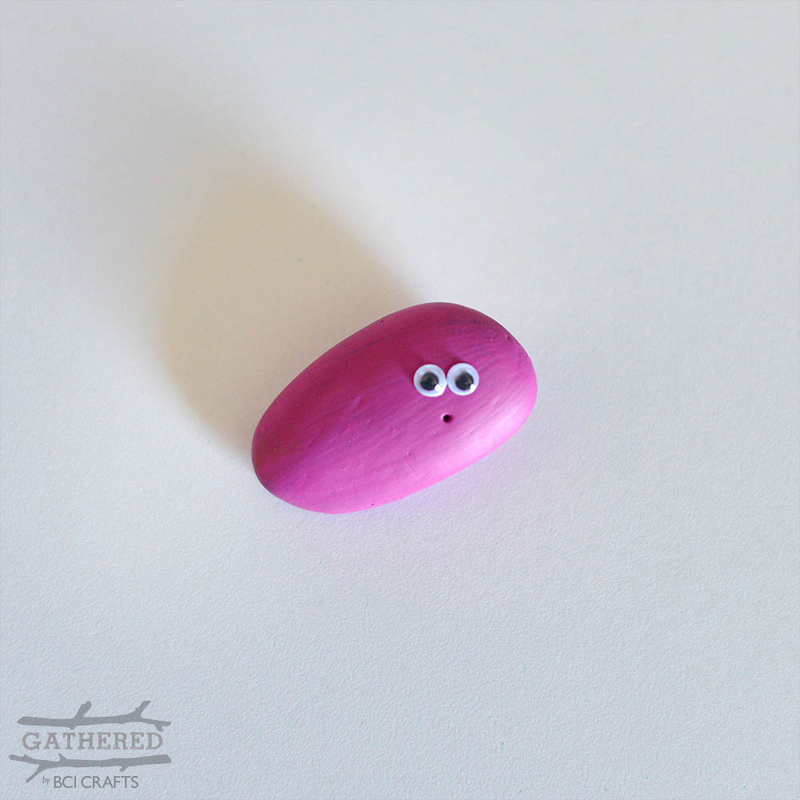 The tiny hole on the rock above makes the perfect little mouth for this silly pink rock creature and the crack in the yellow one below also makes a funny mouth. What will your rock creatures look like?